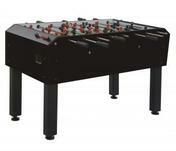 The Madrid is another solid game from Olhausen that has an extremely sturdy design and high quality parts. 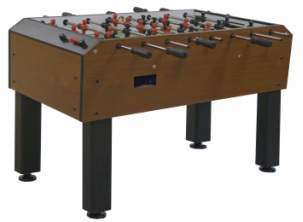 It offers octagonal handles, adjustable leg levelers, side ball returns, bead style scoring, and modern style foosball men. This table is also sold by the Performance Games company under the brand name SureShot OG.